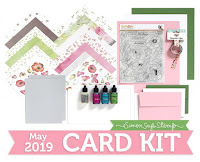 This month's Card Kit at Simon Says Stamp is a real beauty! Just look at those luscious colors! This month there are some 3 x 4 cards from Authentique to match the papers in the kit, and I couldn't resist making my first card using one of them with the papers. That printed panel is so gorgeous, I simply framed it with a series of the papers and black cardstock that were in the kit, and added nothing else. I'm leaving it blank for now until it's used, and then I'll add an appropriate sentiment. My next card shows the stamps and the die that are in the set. First I stamped one of the sentiments diagonally across my card front, then die-cut a row of polka dots over and below it. Next I masked off that area and stamped several of the flowers in Soft Granite and Butter Bar inks. And lastly I lined the back of the front of the card with the gold shimmering cardstock from the kit; it really does have a lovely shimmer that glows when the card is turned a certain way. 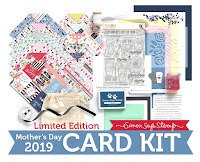 I have no doubt that this kit will sell out like so many of its sisters, so if I were you, I'd grab it while it's still available! 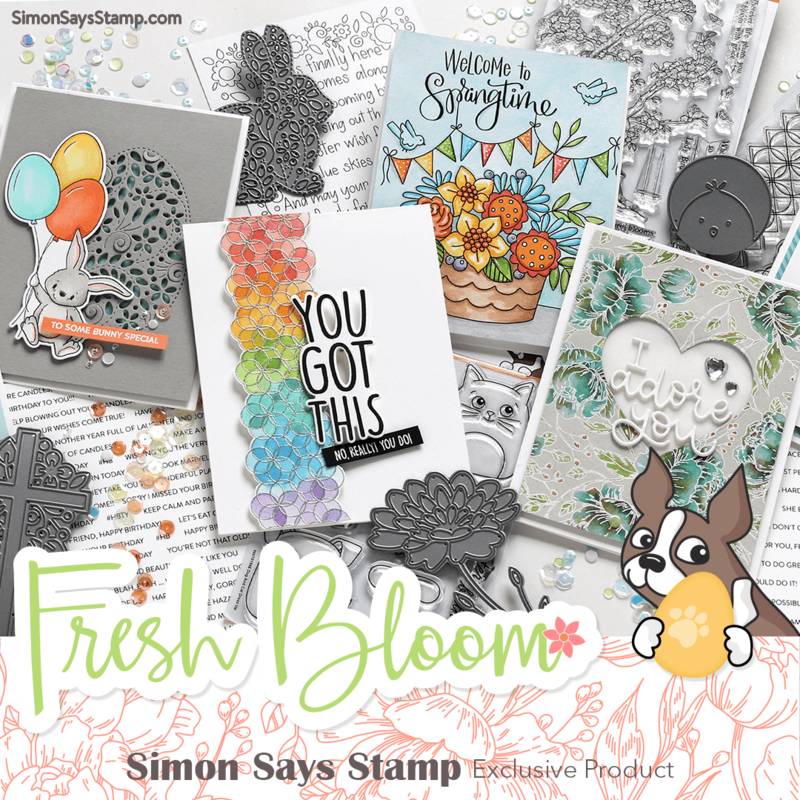 Welcome back to your favorite challenge of the month at the Simon Says Stamp Wednesday Challenge Blog! The last Wednesday of the month is always our Anything Goes challenge, and this week the design team are using Lawn Fawn products! Now it's your turn! As always, we have a wonderful $50.00 gift voucher for the random winner of our challenge, to be spent at the fabulous Simon Says Stamp Store! Just sharing a card today that I made awhile ago and never got to post. 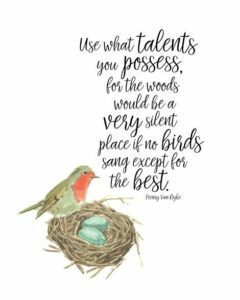 As I am writing this I can hear a bird singing its heart out outside here in Florida. Such a welcome sound! 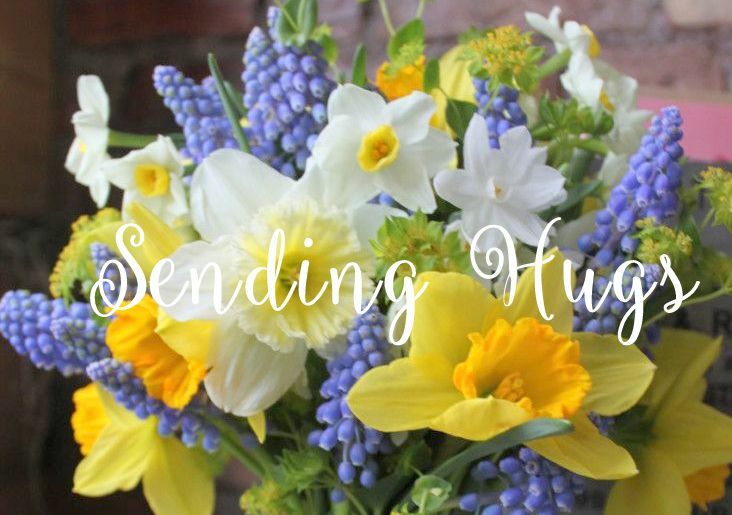 I'm wishing this for all of you who are still frozen in the northern states........spring will come, hang in there, and it will be all the more special because of this hard winter! These dies are called Kite Shaker and You're Amazing. I used Simon's Surf Blue cardstock as my background, with some BoBunny dots and a Doodlebug floral design paper to fill in the kite sections. My sequins are a mix of Simon's Moonshine and Pretty Pink Posh Springtime Mix. 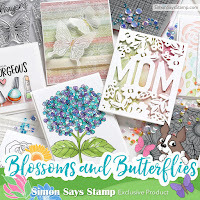 Be sure to visit the Simon Says Stamp Blog to see all the rest of the amazing things being released today! It's Wednesday, and that means another challenge at the Simon Says Stamp Wednesday challenge blog! We're asking you to put some TEXTURE into your creations this week. 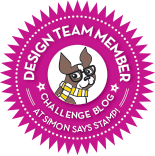 The design team are all using exclusive Simon Says Stamp products. Here's my first card, using an embossing strip for some texture. I cut a white cardstock panel and embossed the strip pattern, then die-cut the dots on either side of it. I white embossed and fussy cut the flowers and leaves on printed cardstock, arranged them, and then added my die-cut sentiment and some sequins. The panel was then affixed to a lilac cardstock, and then to my card base. For a little added dimension, the center of the biggest flower was stamped a second time and popped above the flower. For my second card I used a stencil and some texture paste to add my texture, and my new favorite ink from Simon, Hydrangea - it is a wonderful bluish purple! I first stamped my flower and sentiment, then attached the dot stencil and applied some texture paste around them. When the paste had dried, I colored it with some Audrey Blue ink, pouncing it on with the stencil in place. I also stamped an extra flower and fussy-cut it, then popped it above the surface. Not it's your turn! We have a $50.00 gift voucher to the Simon Says Stamp Store for one lucky random winner of our challenge! 2015 Hero Hostess Blog Hop! 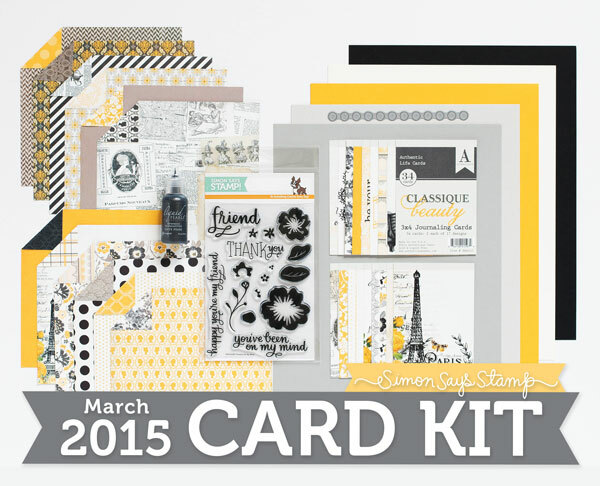 Welcome to Day 1 of the 2015 edition of the Hero Hostess Blog Hop, featuring the newest releases from Hero Arts! My Hosti sisters and I are delighted to be getting together again to show you some of the new stamps from the 2015 Spring Catalog! You should have arrived here today from my sweet friend Donna Mikasa's blog, three umbrellas. Her cards are always on trend and pretty, too! I received 2 new stamps that are right up my alley, and decided to concentrate on those for the hop, making 2 cards from each one. I used the flower and butterfly dies to cut out those elements, fussy-cut the second flower, and added some stitched doodling as the trail of my butterfly. The sentiment is part of the set, also. I had so much fun coloring the flowers that I just colored and die-cut lots more of them and arranged them around my sentiment from an older set, Made with Love, that seems to go with these warm colors. And I sprinkled some sequins for a little sparkle. My next cards use the pretty cling stamp called Tropical Background. It was stamped on an aqua cardstock with Grass ink. My sentiment is from Dauber Bunch, stamped in Splash ink, and I added some peacock sequins to this one. And for my last card, I stamped the Tropical Background on 2 different colors of cardstock, tone on tone, then trimmed out a panel, stamped it with a simple sentiment (from Hello Sunshine Daisies), framed it in white, and added it to the first panel, matching up the overall pattern. Hero Arts will be giving away prizes from randomly drawn comments on our blogs. For a chance to win, simply comment on any of the stops along the hop on any day, including each day's starting post at the Hero Club Blog. The more comments you make, the better your chances of winning! If you find a broken link, there's a master list of the links at the Hero Arts Club Blog. We'd appreciate it if you'd report any broken links to blog@heroarts.com. Now please hop along to the last stop for today, at the talented Sally Sherfield's blog, Created by Sally. I know you'll love her designs for today! And I'll see you again over at the Hero Arts blog tomorrow morning, where we'll start again with another 8 of my sisters! This week we're asking you to put an animal in your creation. 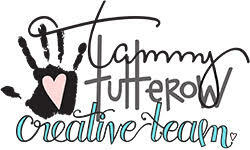 My teamies and I are using products from Paper Smooches. Now it's your turn! 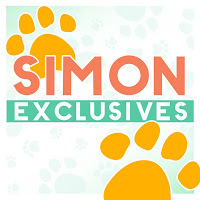 As always, Heidi has provided another $50.00 gift voucher to the amazing Simon Says Stamp Store to one random winner of this week's challenge! I can't wait to see the gallery fill up with fun creations! Thanks for stopping by - hope your weekend is going great! Playing with some new dies, with spring in mind. 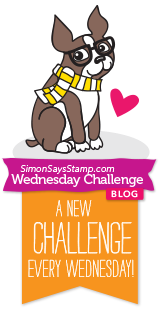 Welcome to a new month and a new weekly challenge at the Simon Says Stamp Wednesday Challenge! This week we're asking you to make us something Bright and Beautiful! The design team are all using Hero Arts products. I chose some of my favorite bright colors and made you 2 cards. This Tall Flowers stamp includes some very long stems, but I eliminated them by fussy-cutting the bottom of each panel of stamped flowers, then lifting these panels above my card base, which had been stamped with my sentiment. After stencilling my panel, I embossed it with a dot folder, then added my sentiment to vellum, which I wrapped around the panel before attaching it to the card base. Now it's your turn! We've got another $50.00 gift voucher at the Simon Says Stamp store for our random winner of this week's challenge! 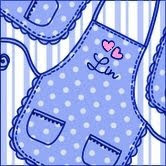 I found the cutest dies at Lil Inker, received them yesterday and couldn't wait to play with them! They are called Spring Flowers. I pulled out lots of Doodlebug 6" paper pads (I love the tiny size of the prints, just right for card-making!) and played with them until I found a combination I liked, then added some Doodlebug sprinkles to the centers. I made my own leaves and stems from Simon's Green Apple cardstock and stamped and fussy cut the sentiment from Winnie & Walter's Big, Bold Seasons stamp set, dotting the i with a flower sequin. The background pale blue flourish paper is from BoBunny.....don't know if it's still current or not. Thanks for visiting me today; I'll see you tomorrow with a Simon Says Stamp post! This is probably my favorite PB flower. It's from their Petal Party set. I've used it a zillion times, but I don't think I ever colored it pink. So that's how this card started. And since the SIMPLICITY blog is all about CAS cards, I also decided to add just a sentiment and maybe some sequins. This sentiment is also from a favorite set called Every Happiness. It's pretty tiny, so I white embossed it on a strip of black cardstock, hoping that it would stand out better. I do love how this turned out - this flower looks good in any color, colored or paper-pieced. So glad I brought it along!